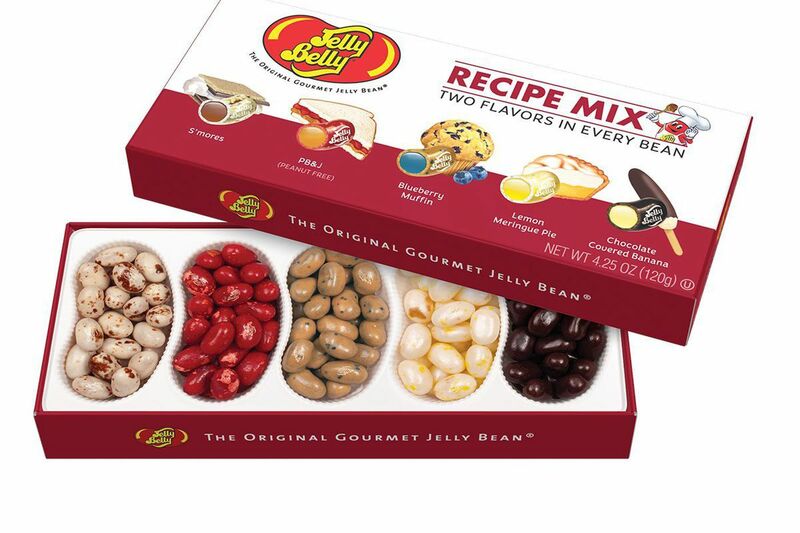 A Recipe Mix box with new flavors from Jelly Belly. Longtime Jelly Belly enthusiasts already know how to mix a few flavors of beans in order to mimic the taste of other treats. Now, the company has done the work for you. Jelly Belly’s new Recipe Mix flavors are jelly beans made in the flavors of five of the most popular recipe combinations: lemon meringue pie, chocolate-covered banana, peanut butter and jelly, blueberry muffin, and s’mores. Previously, creating the flavors required eating a few beans at once. S’mores, for example, required two toasted marshmallow-flavored beans, one caramel corn and one chocolate pudding. Jelly Belly Recipe Mix, $6.99 for a box at local stores or online at jellybelly.com.